!! 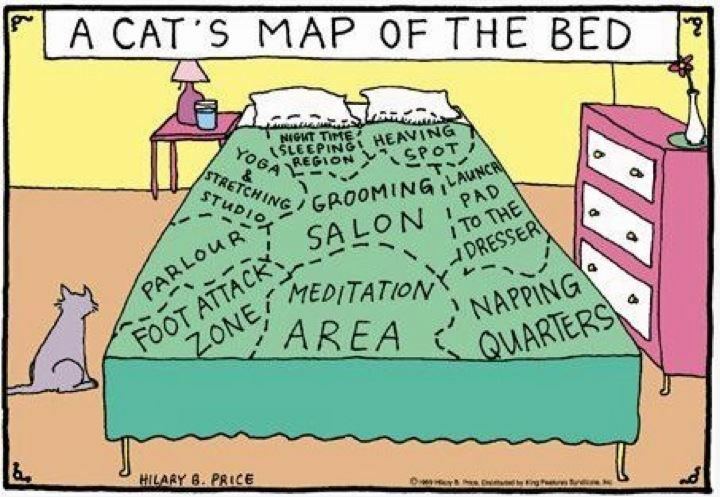 OMG, view from the bed: A cat map !! Anyone who has ever had a cat, pet a cat, smelled a cat, had a cat allergy, tried cat food, or read this blog before knows that cats are rather cat-centric creatures. So, naturally, every inch of an owner’s bed really belongs to the cat. Here’s a guesstimate of how exactly kitty likes to split up its space. 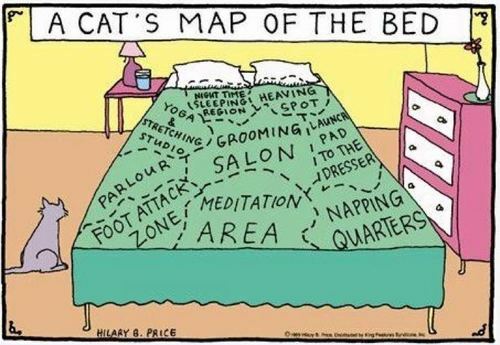 Be the first to comment on "OMG, view from the bed: A cat map"